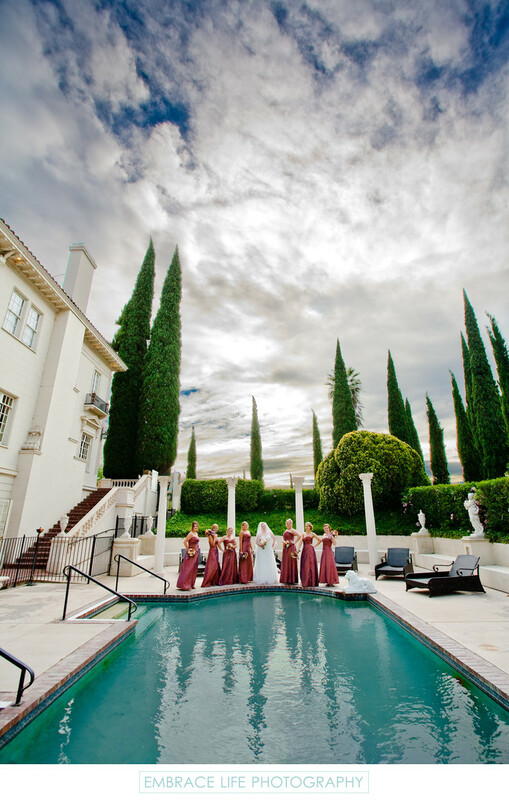 Bride and bridesmaids stand on Italian Renaissance Villa style pool patio with dramatic sky with large clouds. The historic mansion and its European workmanship is a premier wedding location venue in the Sacramento Delta River region. Location: 13415 Grand Island Road, Walnut Grove, CA 95690.